If you can’t already tell, one of my favorite Christmas traditions is receiving holiday cards. I love checking our mail box to see what has arrived from our friends or family. What is even more fun is finding a beautifully written envelope waiting inside. Are you ready for some photo overshare? 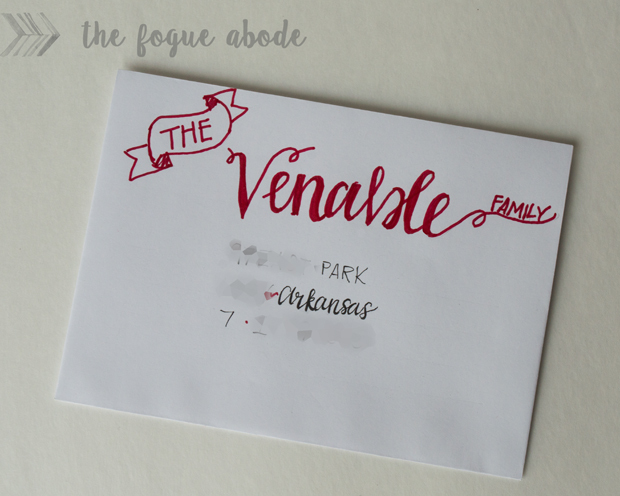 Because, I’m fixing to share how I created faux calligraphy Christmas Cards this year. I live by the rule of thumb that this is the one time of year you intentionally send mail to your friends. It should be a beautiful work of art. But it doesn’t have to be intimidating or difficult. 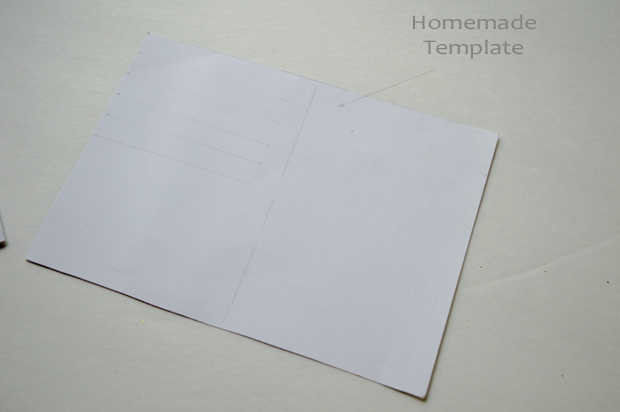 First, I start with a DIY template. 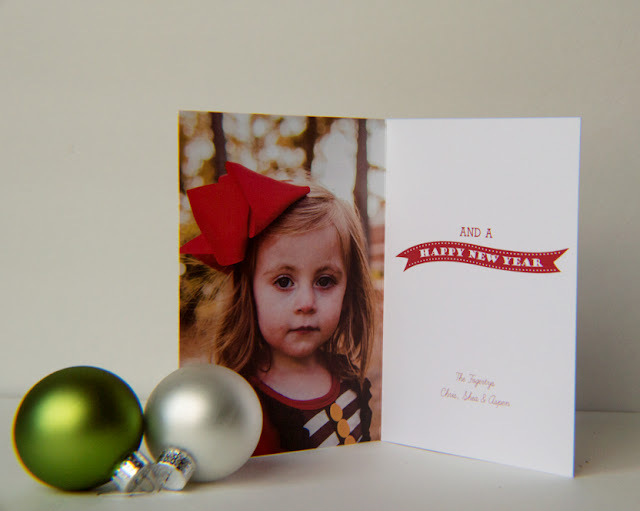 You can purchase already made ones, but I prefer the quick and easy way of creating my own with some scrap card stock. 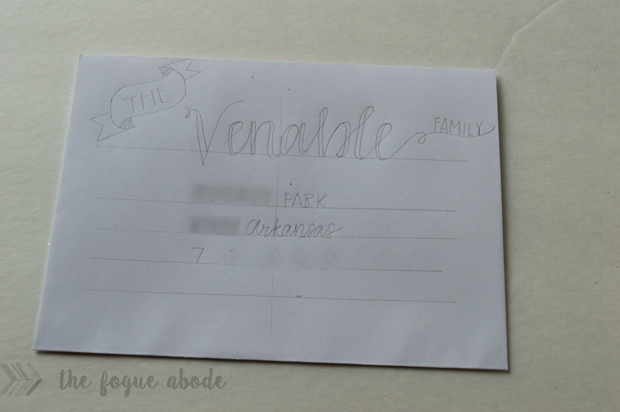 I cut the cardstock to the size of my envelope and measure out the notches for the address. 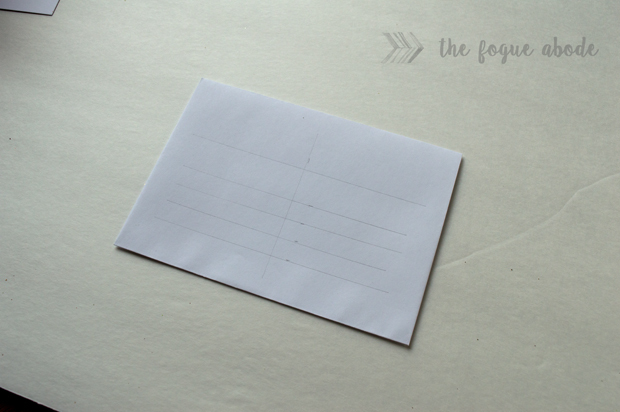 Make sure you also measure a line half way across the envelope to help you center your address. 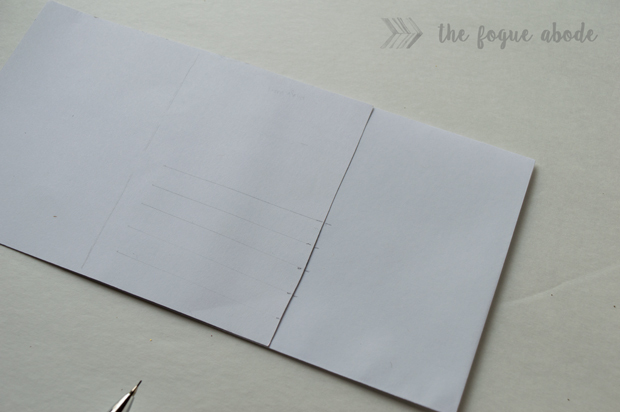 Now that you have your DIY template, it’s time to start on your envelope. 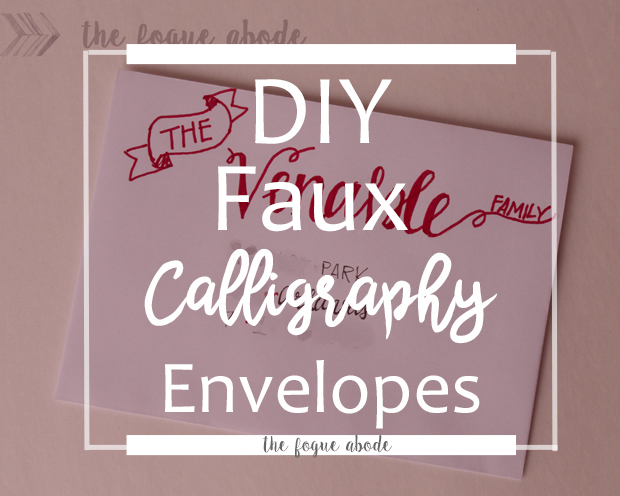 You will want to use a pencil to draw faint lines on your envelope. I have darkened the image in photoshop so that you can see them better. So, I repeat, faint lines! The fainter the better, just make sure you can see them. 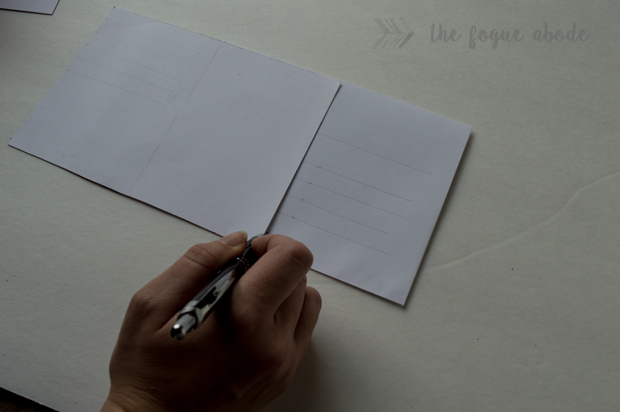 Once you have your line indicators, use a straight edge (or the edge of the cardstock) and draw the lines that you will use as your guide. I tend to eyeball my center on the script portion. It’s a lot harder to start in the middle and keep the flow with script. 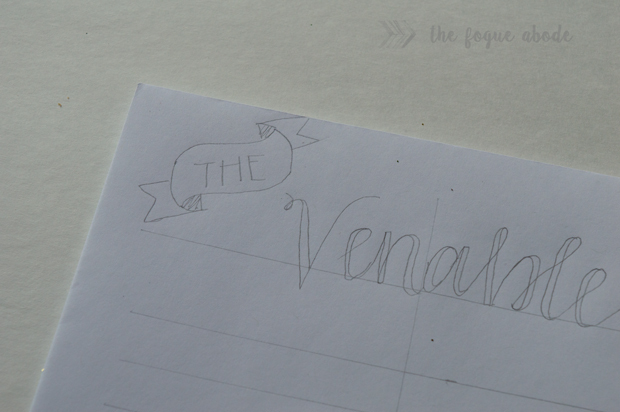 I’ll add “The” to the left of the name later on, so I kept that in mind when finding my starting point. 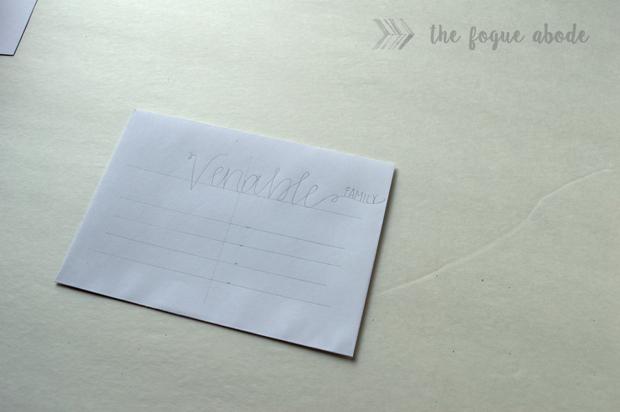 The key to faux calligraphy is to go back over your lettering and add a second line anywhere that your pencil took a down stroke. We will go in later and fill it in. It doesn’t have to be perfect at this point, it’s just your starting sketch. Let’s add “The” and use a pretty ribbon banner to highlight it. How do you create a ribbon banner, you say? It’s easy as pie. 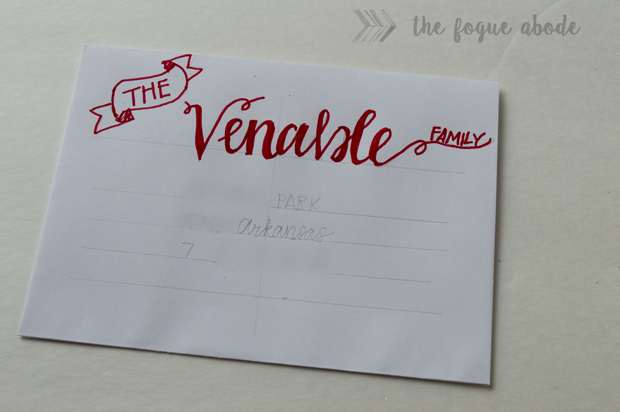 Once you have the family name sketched out, we can move on to the address. This is where you can really get creative, you can center justify or left justify, script or block, bold or light….I decided on a slight mix of a block lettering but added in a little calligraphy on the state. Try to spell out all of your words here instead of using the abbreviation, it just looks fancier. My key to centering the address is to find your middle letter. Start there and work your way out. 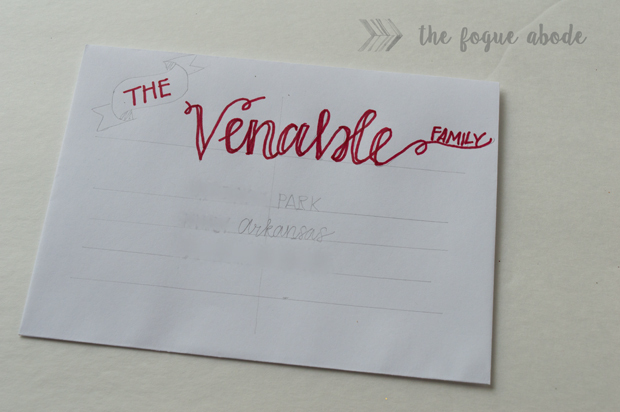 It’s pretty simple to do with the blocked lettering. I also like to space the zip code out on the bottom so that it is the length of the longest line from the address above. You can use dots or squiggles in between. Yay, our rough draft is complete, now on to tracing it with our pens. 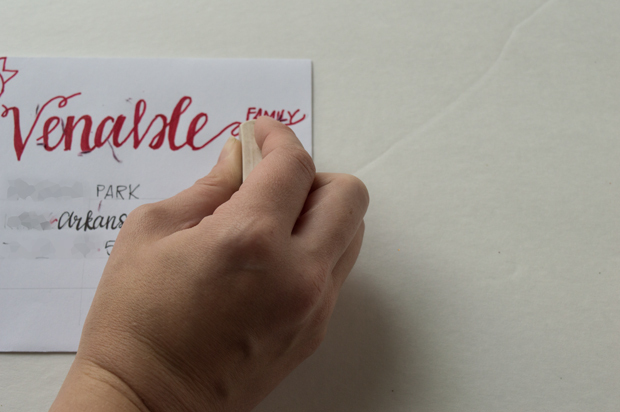 I am fan-girling big time over Tombow. 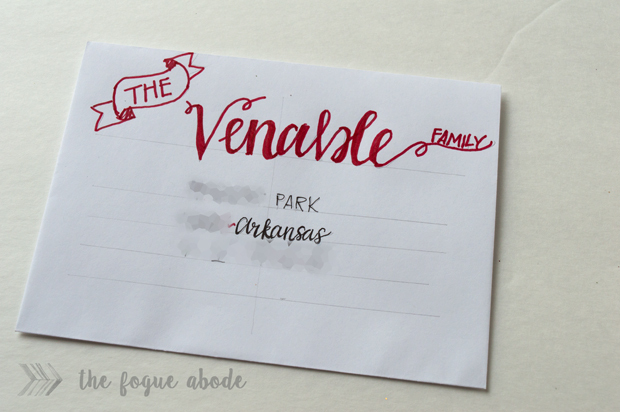 So I have a red Tombow Dual Brush Pen I will use for the family name (I use the blunt side for this project, but if your an expert Brush Pen user, go ahead and use the soft tip) and a Tombow Fude Soft Tip Pen for the address. Next comes my favorite part, coloring in the down strokes. This is when the script really takes form and looks all fancy pants. Don’t forget to color in the ribbon banner like I obviously did. 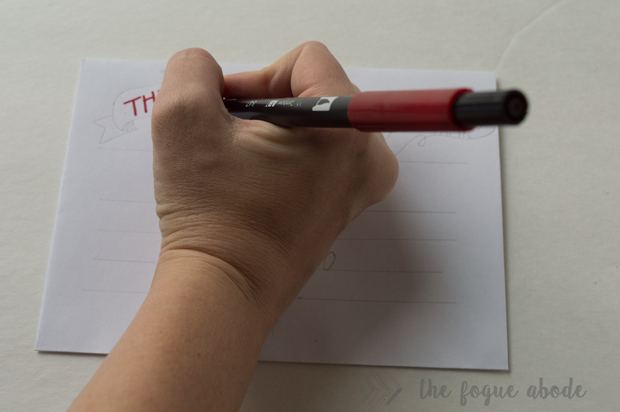 Once your wording is done, it’s time to erase those lines. 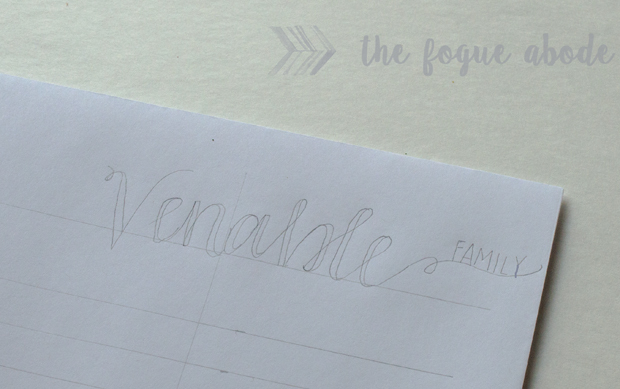 Another reason I love Tombow is that they dry super fast and don’t smudge. 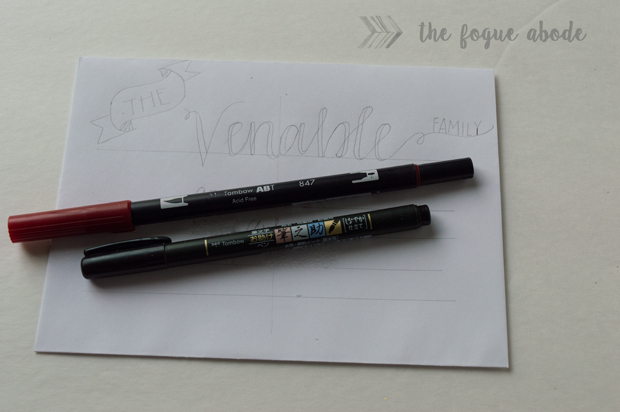 If you are using any other type of pen or marker, test out how it erases before you get to erasing your art work. You may want to have this sit for several hours or overnight to cure. And now you are finished! Your friends and family will be so impressed with your calligraphy skills, no need to tell them it’s all fake. 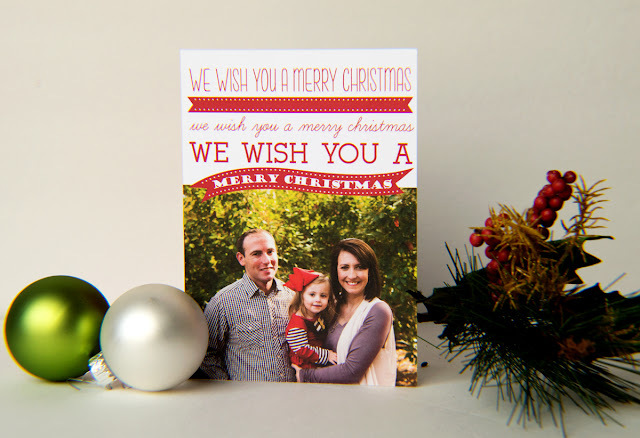 If you are wondering what I stuffed in these lovelies…here is our family Christmas Card which we made with Picaboo.